As most of my dear readers know, I have been blogging on Over-blog since 3 years now, and it has been a really tough period on the platform comparing to others. So I wasn’t really satisfied and always trying to move to another platform. 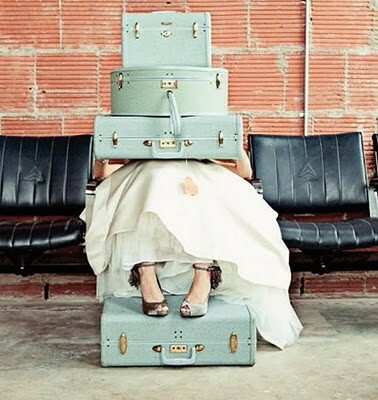 And after a lot of thinking and help from Bloggers and developers, the best solution was to move my posts manually from Over-Blog to WordPress. To note that The Revolution* Beirut is a members-only event, members should have The Revolt* Card. The Revolt* Card grants you access to The Revolution* Beirut parties. Only card holders will be invited to the parties, and will benefit from discounts. Once at your disposal, you need to activate the card either by scanning the QR code and entering your unique key on our Facebook page or by visiting us on The Revolution Beirut page. Once the card activated, make sure to present it each time you attend The Revolution* gigs to accumulate points and enjoy the numerous privileges. You can check The Revolution* website for more information and photos, Like their Facebook Page and Follow them on Twitter! Bring on your swimsuits and get ready for some real summer fun at La Plage! 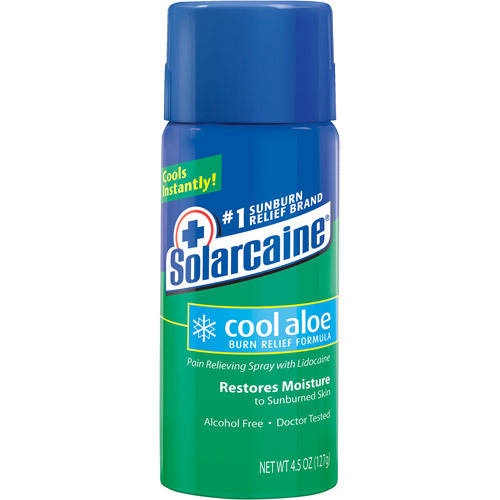 SOLARCAINE is a pain relieving spray with lidocaine that cools instantly, it restores moisture to sunburned skin. It cools the burn fast for instant pain relief. This gentle no-rub spray with lidocaine and aloe vera draws heat away from the skin to instantly cool and soothe sunburn while moisturizing to help reduce dryness. Also provides instant pain and itch relief from minor: burns, cuts, scrapes and insect bites. Continuous, one touch spray for quick and easy application. Fragrance free, alcohol free, non-stinging and non-irritating. Leaves no sticky residue. Dermatologist tested. I kept on spraying it, but I didn’t feel it was relieving me a lot, because I was really really red, so I searched for something more powerful. Since my skin was so hot, the cream was disappearing right away. It relieved me, but I was insisting on having another pharmacist opinion. 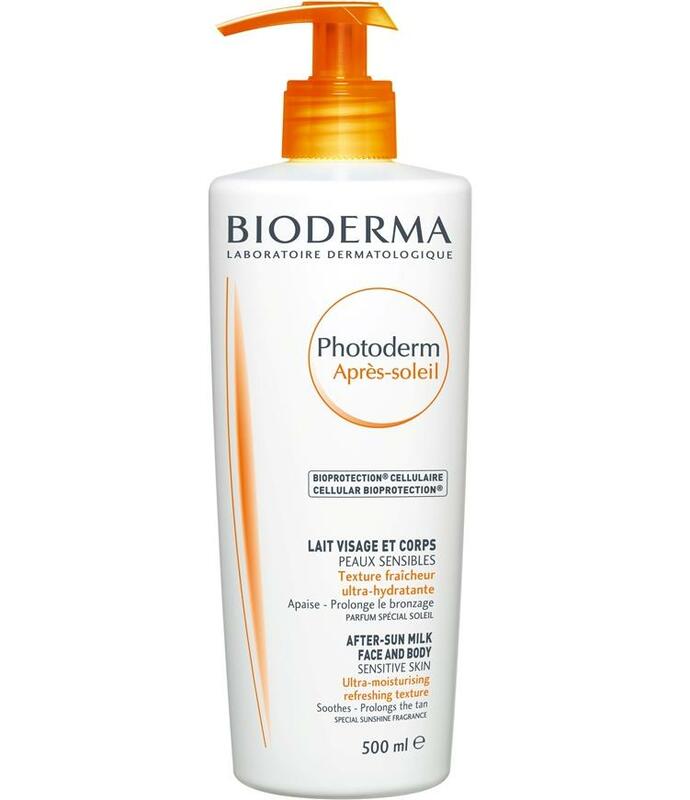 Photoderm After-sun intensely rehydrates skin dried out by the sun, prepares it for further exposure and thereby optimizes its natural anti-UV protection. Its exclusive patented Cellular BIOprotection® complex provides optimum protection for the skin cells and prevents premature cutaneous ageing. Enriched with emollient and soothing active ingredients, Photoderm After-sun decongests the skin after exposure and helps prolong the tan by curbing desquamation. Photoderm After-sun’s light texture makes it easy to spread and leaves the skin feeling refreshed. Stay Safe under the Sun everyone!